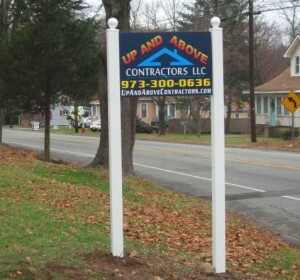 At Up and Above Contractors, our mission is to provide you with a professional job at a fair price. As a family owned and operated company, we pride ourselves on being the kind of company that you want to do business with. With a reputation for honesty, integrity, and professionalism, we have been providing quality home improvement to New Jersey since our inception in 1993. We insist that our crews are competent and courteous in order to ensure that your project goes smoothly and quickly. Satisfying you, the customer, is our number one priority. 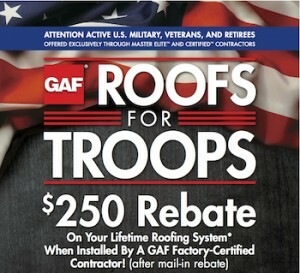 ROOFS FOR TROOPS: Special GAF Rebate for Active Military, Veterans and Retirees! In conjunction with GAF, which employs 3,000 Americans in 23 U.S. plants, Up and Above Contractors is proud to extend a $250 rebate on a Lifetime Roofing System to those who have served our country. To our brave men and women — thank you for your sacrifice and your commitment! 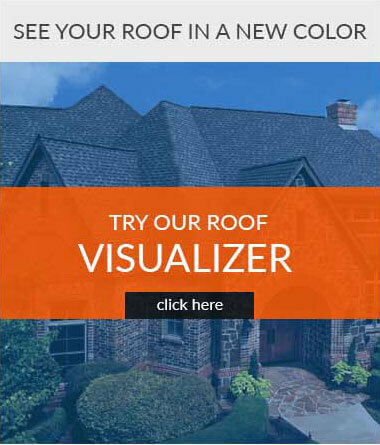 As an American-based company and the largest roofing shingle manufacturer in North America, GAF is providing this offer for new customers only. Fill out the rebate form here. Ask your Up and Above Contractors representative for more details or to provide you with information to complete the form. Valid in the U.S. only. Limit one rebate per qualifying individual. Limit one rebate per Lifetime Roofing System* installed by a GAF Factory-Certified Contractor between January 1, 2016 and December 31, 2016. Rebate form must be received by January 31, 2017. Improper redemption or use constitutes fraud. GAF reserves the right to audit all redemption claims. GAF reserves the right to cancel or modify rebate program at any time. 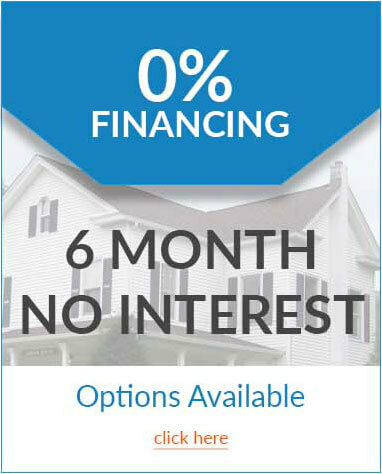 *See GAF Shingle & Accessory Ltd. Warranty for complete coverage and restrictions. The word “Lifetime” means as long as the original individual owner of a single family detached residence (or the second owner in certain circumstances) owns the property where the shingles and accessories are installed. For owners/structures not meeting above criteria, Lifetime coverage is not applicable. Lifetime ltd. warranty on accessories requires the use of at least three qualifying GAF accessories and the use of Lifetime Shingles. Call Up and Above Contractors today at (973) 531-4225 for a FREE in-home consultation and estimate. Or simply complete and submit our request form and we’ll contact you within one business day.